CTS-160 Analogue DIN-Rail Time Switch with Large Screw Terminals Perfect for Stranded Conductor! 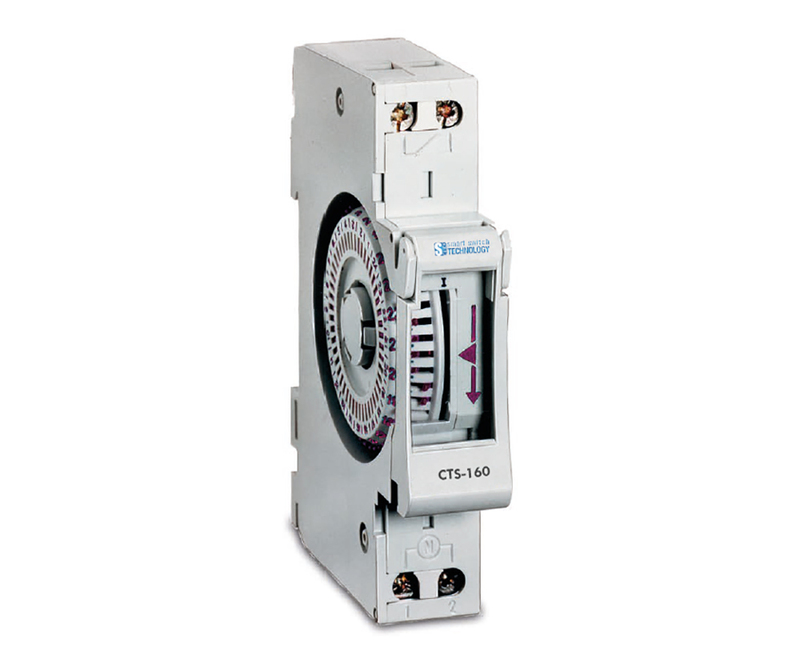 The CTS-160 is a single module analogue time switch designed for DIN-rail mounting. The timer switch is easy to program, features large screw terminals to suit stranded conductor and has a lead-sealable housing for tamper protection.